My novella "Nightflyers" tells the story of a group of scientists who charter a tramp starship to take them into deep interstellar space in search of the volcryn, an alien species thought by some to be mythic. In my original story, only the three main characters are named -- Karoly d'Branin, the leader of the expedition; Royd Eris, the mysterious owner and captain of the starship Nightflyer, who is never seen except as a hologram; and Melantha Jhirl, a genetically engineered 'improved model' from the planet Prometheus, who is larger, faster, brighter, and stronger than an Earth-normal human. "Young, healthy, active, Melantha Jhirl had a vibrancy about her the others could not match. She was big in every way; a head taller than anyone else on board, large-framed, large-breasted, long-legged, strong, muscles moving fluidly beneath shiny coal-black skin. Her appetites were big as well. She ate twice as much as any of her colleagues, drank heavily without ever seeming drunk, exercised for hours every day on equipment she had brought with her and set up in one of the cargo holds. By the third week out she had sexed with all four of the men on board and two of the other women. Even in bed she was always active, exhausting most of her partners. Royd watched her with consuming interest. “I am an improved model,” she told him once as she worked out on her parallel bars, sweat glistening on her bare skin, her long black hair confined in a net." FYI, I likely found the name Melantha is one of the "What To Name Your Baby" books I kept on hand for naming my characters. The name means "black flower" or "dark flower." When "Nightflyers" was first published in 1980, Paul Lehr's striking cover featured the volcryn. I expanded the story from 23,000 to 30,000 words for its republication in BINARY STARS, but that one featured an all-graphics cover. A few years later, I put together a new short story collection for Bluejay Books with "Nightflyers" as the title story (the collection also included my earlier Hugo-winning novella "A Song for Lya," and a handful of other shorts). Truth be told, there are several problems with that cover. The art is mediocre at best (though I've had worse). The scene makes no sense; the woman seems to be standing in space, outside the spaceship, without a helmet. I think the pose may have been intended to evoke echoes from ten thousand Gothics, wherein the governess is running away from the haunted house behind her, where one window shines in the darkness. Here you have one glowing doorway in the darkness of space. If that was the intent, though... well, let's just say it did not work. All that is minor. The big problem, needless to say, was the race of the character depicted. No WAY that was Melantha Jhirl, my dark-skinned genetically engineered superwoman. I was not happy. Melantha was black, I pointed out. My publisher acknowledged as much, but declined to make a change. "Do you want your book to sell?" he asked me. Of course I did, I replied. "Well, if we put a black woman on the cover, no one will buy it." To put this all in context, this exchange took place in 1985. My fourth novel had sold dismally the previous year, and Simon & Schuster, who had published my first four novels under its Timescape and Poseidon Press imprints, had dropped me. I was not in a position of strength. In fact, I was hanging on to my career by my fingernails. Still, I did continue to protest. The publisher's assertion shocked me. This was a science fiction book, after all, the fans I knew read books with elves and vampires and green-skinned martians on the cover, I could not believe what I was being told. What was the evidence for this? I asked. It was something that "everybody knew," I was told. Besides, the cover had already been paid for. At that point, I folded. 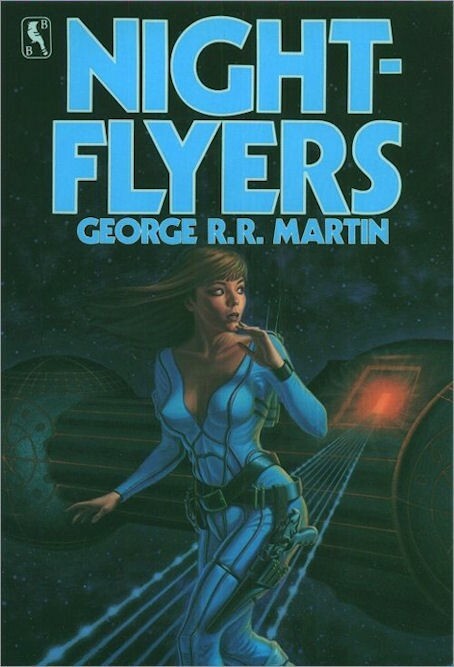 NIGHTFLYERS was published in trade paperback with the cover unchanged. A short time later, Tor acquired the mass market rights and reprinted the collection with the same cover. (When the movie was released, Tor reissued the mass market as a tie-in with the poster art on the cover. That version that did not feature Melantha). I was unhappy with the portrayal of Melantha in 1985. As the years passed, I grew even more unhappy... with the cover, and with myself. No, I probably did not have the power to get the cover changed, not then. I had no contractual right to cover approval. But I could have tried harder, argued longer, made a bigger fuss, gone public (as other, braver writers did). Maybe I could even have withdrawn the book. Instead I went along. I did not have the courage of my convictions. I did not believe what "everybody knew," but I think part of me feared they might be right, and after ARMAGEDDON RAG I badly needed NIGHTFLYERS to do well. (For what's it worth, the collection sold pretty badly in any case). When I look back now, I am ashamed. A few years later, the NIGHTFLYERS movie came along. I had no part in the making of the film, beyond cashing the check for the rights (which check saved my house, and possibly my career). I never saw the script. In the film, Melantha's name was changed to Miranda Dorlac, for... reasons, I guess. Maybe they just liked the sound of it better. ((Karoly d'Branin underwent a name change too, to Michael d'Branin, but Royd Eris remained Royd Eris. The minor characters had names completely different from those I'd given them in the novella, but there was an explanation for that... one I guessed at long ago, but only had confirmed this fall, when we presented NIGHTFLYERS at the Jean Cocteau. As I'd surmised, screenwriter Robert Jaffe had worked from the original novella in ANALOG, not the later expanded version... and in the original novella, the secondary characters are never given names, but rather referred to only as "the telepath," "the xenologist," "the linguist," etc. Jaffe invented his own names for them, unaware that I had named them myself in the longer version of the novella)). The film cast the part of Miranda Dorlac (Melantha Jhirl) with Catherine Mary Stewart. Catherine Mary Stewart was a well-established, popular actress, one of the biggest names in the NIGHTFLYERS cast, and she did a perfectly fine job of portraying Miranda Dorlac, as the character had been reimagined... but she was certainly not Melantha Jhirl. This time I did not even have an opportunity to protest, as I was never consulted on the casting... though I did meet Catherine Mary Stewart, the one and only time I visited the set. She was perfectly pleasant. And, of course, by then it was far too late to speak up, so I said nothing. 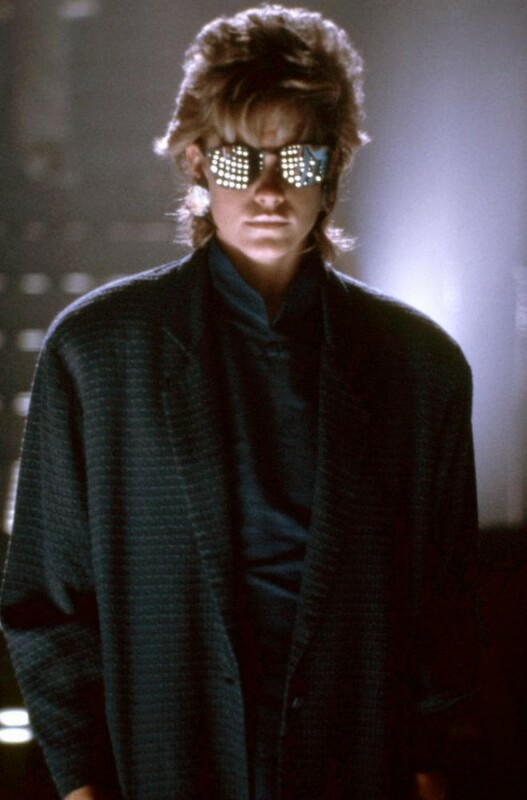 The film came out in 1987. A long time ago. For decades I hardly gave NIGHTFLYERS a thought. Until the spring, when I learned that SyFy, having acquired the rights from Vista via the old movie, was developing a television series. I had no part in the development, and indeed had been unaware of it until then.. and my exclusive deal with HBO meant that I could have no real role in the show... but the announcement brought back a lot of memories. I had been silent twice when I should have spoken up. I was determined not to be silent a third time. So I reached out to UCP and through them to the writers and producers of the NIGHTFLYERS project and told them... well, pretty much what I've told you here. And, I am delighted to say, they listened. In the series the character is called Mel, but I understand that's just short for Melantha (in the script I read, Karoly d'Branin has become Karl and Royd Eris is simply Roy, so there is a consistency there). And Mel will be played by actress JODIE TURNER-SMITH. Maybe it took thirty years, but at long last I can say: now, that's Melantha Jhirl. Showrunner Daniel Cerone writes, "We're beyond excited about her. From the start Jeff maintained that we needed a black actress (Jodie is British and Jamaican) to follow your original vision. We enjoyed your story about how the book publishers (and the original movie) missed the boat on Melantha and we'd love your fans to know that we're working hard to honor your intentions." I have not yet had the honor of meeting Ms. Turner-Smith, but I could not be happier about her casting, and I cannot wait to see what she brings to Melantha. My thanks go out to all the good folk at UCP, SyFy, and NIGHTFLYERS for making it happen. I only wish it had happened thirty years ago.